Using bicycles as a standard means of transport has many benefits, and it is one of the best cardiovascular activities that exist. For example, it helps reduce blood cholesterol, fight the risk of being overweight, reduce stress, tone the muscles and also commits to reduce pollution since the bicycle is a vehicle that does not use any fuel. I know that was not enough to encourage the utilization of the bicycle in everyday life. 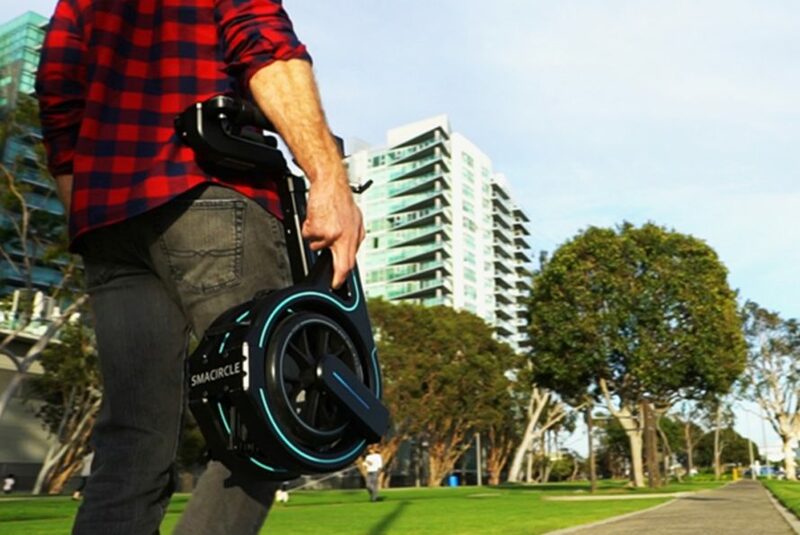 People need something new to try that’s where a new design emerges the Smacircle S1, a smart electric folding bike that fits perfectly in a conventional medium-sized backpack, Entered to the world via an IndieGoGo campaign. The Smacircle S1 is a bike specially designed for urban cyclists. As for the technical character of this new gadget, it should be noted that this bicycle has robust front and side lights of high visibility for other vehicles and pedestrians. This Smacircle S1 is not a conventional electric bicycle since its wheels are in a minimal size and it does not have pedals as its electric motor propels it. It can reach a speed of up to 20 kilometers per hour; electric brakes allow the bike to stop to prevent accidents quickly. With it, the eBike can hold 220 lbs. 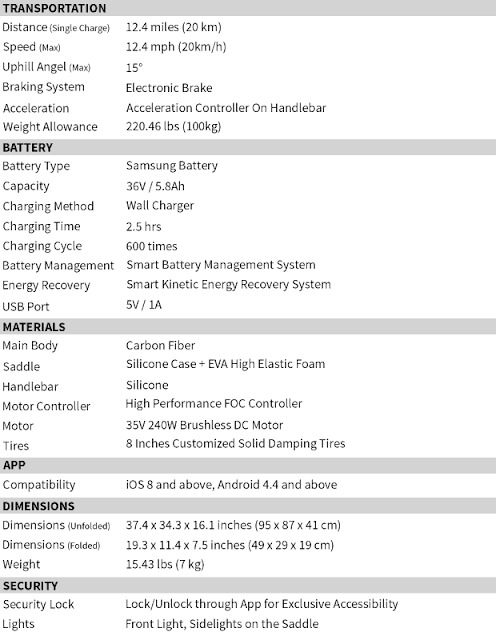 This bike is made with high-quality, sturdy carbon fiber and comes with a rechargeable Samsung battery. 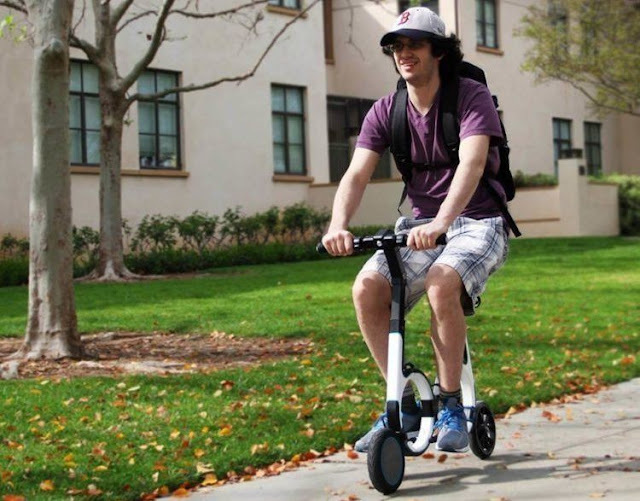 It has an autonomy of approximately 20 kilometers, and the battery takes two and a half hours to charge fully. 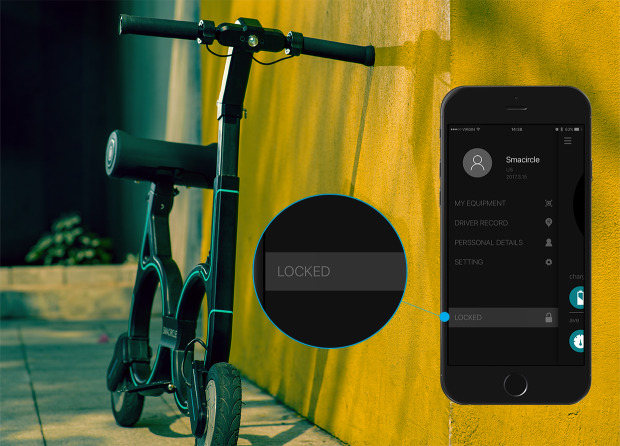 There is even a built-in USB to connect a smartphone, with that you can have an app that can lock and unlock your bike for safety reasons. The application is also used to monitor the usage of the battery, adjust the intensity of the lights, the speed, and track eBike. Technology Smacircle, the company behind this idea, has launched a crowdfunding campaign in Indiegogo to finance the project, which has proven to be a success, as it has far exceeded the proposed economic objective. The manufacturer expects to make the first shipments next fall.